The ColorMaxT5 Digital Color Multimedia Printer produces outstanding professional-quality output, up to 50 pages per minute, with the ability to print CMYK plus white toner in a single pass. 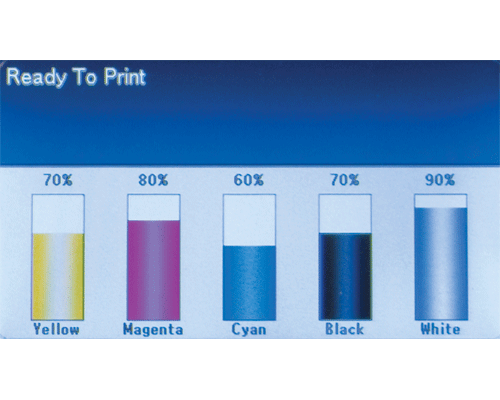 Five-color printing takes envelopes, marketing collateral, and more to a whole new level: print color-on-color or white-on-color and watch the colors pop off the page. Revolutionary multi-level LED print heads control the amount of toner applied to each 1200-dpi dot, preserving fine image detail for even printing across the entire document. 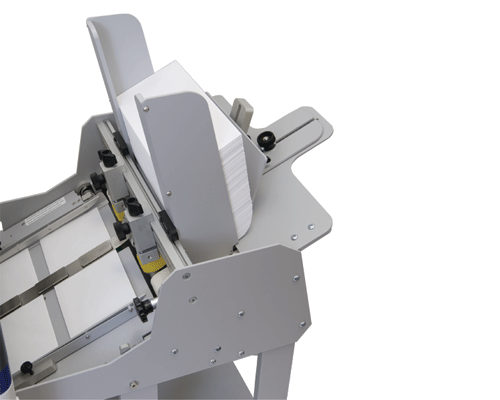 Dry-toner based printing is durable enough for envelopes to withstand the elements, and with its straight feed path, high-capacity feeder and output conveyor, the ColorMaxT5 is ideal for printing envelopes of all sizes. It easily handles 360gsm extra-thick card stock, polyester, magnetic media, transparency films and much more, in sizes ranging from 3” x 5” index cards to 13” x 52” banners. High-capacity toner cartridges produce up to 38,000 pages, keeping projects up and running for longer periods without costly down-time. Replacing consumables is easy with the front-access compartment. Its high-resolution color LCD control panel features an alphanumeric keypad, and displays real-time information on print jobs and toner levels. Duplex printing is standard, allowing users to feed and print two-sided documents in one pass. The powerful 2GB of memory and 1 Gigabit network provide a platform designed to support a variety of features and services, now and in the future. No more reliance on outside printing vendors, which can be costly, and time-consuming. With the ColorMaxT5, users can produce brilliant color-on-color or white-on-color jobs on-demand, on-site.